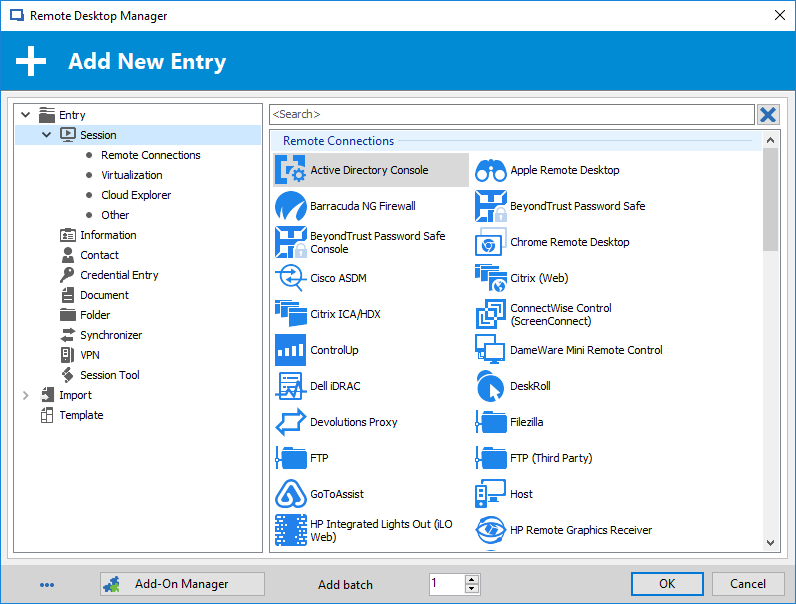 The beauty of Remote Desktop Manager is that you can easily configure multiple remote connections that are securely shared between users in a centralized repository, allowing you to launch them simultaneously and to quickly switch between machines. Remote Desktop Manager also includes a secure password vault useful for saving credentials and speeding up the connection process with credential injection. Quickly launch highly secured connections to privileged sessions, remote servers, virtual machines, websites and applications, all from a single platform. Consolidate multiple connections into a single window to reduce desktop clutter. Save your privileged account credentials directly in your session, private vault or database to facilitate automatic login. Launch one-click connections, directly injecting credentials into remote servers, systems, applications and websites. Use the quick connect feature to quickly access a remote machine using Microsoft Remote Desktop, VNC or a web page; simply enter a host name or IP address to launch your connection. Integrates with the widest choice of technologies, including Microsoft Remote Desktop protocol, Citrix, VMware, Web, Virtual Protocol Network, FTP, FTPS, SFTP, SSH and more. Remote Desktop Manager offers integrated VPN connection management with Microsoft Cisco, SonicWall and IPSecVPN, while also offering a full list of add-ons, including Nortel, Avaya and Watchguard, to mention just a few. Offers more than 60 add-ons, including SecureCRT, Ammyy and 2xClient. Supports the widest choice of connections, including RDP, RemoteFX, RealVNC, TightVNC, UltraVNC, ICA, HDX, LogMeIn, TeamViewer, RGS, DameWare, Radmin, pcAnywhere, Telnet, RAW, rlogin, XWindow, Hyper-V.
Quickly and securely share all your remote sessions across your entire team using a centralized repository. 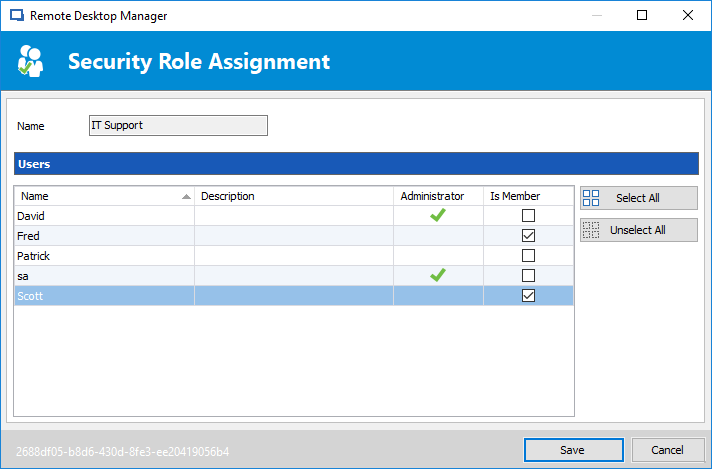 Control, delegate and filter user’s access to privileged accounts using a role-based access control. Use credential injection when sharing sessions to greatly increase security and facilitate sharing. Credentials are automatically brokered to the users; they can never compromise any information since they never have access or knowledge of the plain text credentials. Easily share your repository with your colleagues using the Internet, Intranet or in a private cloud.